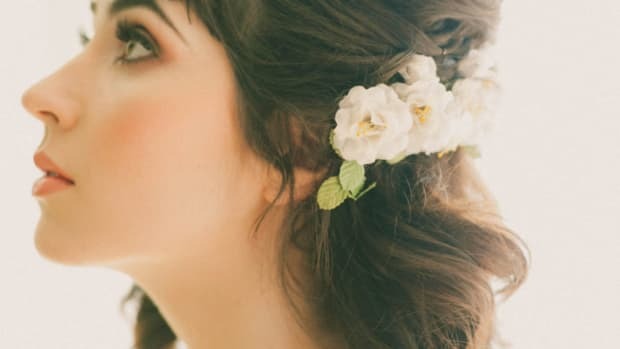 Any soon-to-be bride planning her own wedding wonders at some point, “Am I doing this right?” It’s easy to start second guessing your flower choices, bridesmaids’ dresses, wedding theme, and even your own wedding dress. 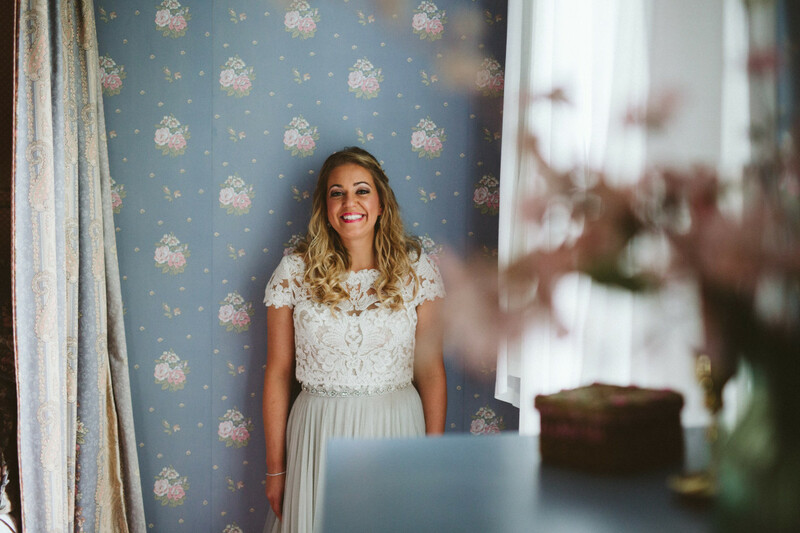 When in doubt, it’s helpful to know that many other brides have come before you and have some stunning photos as proof of their success. 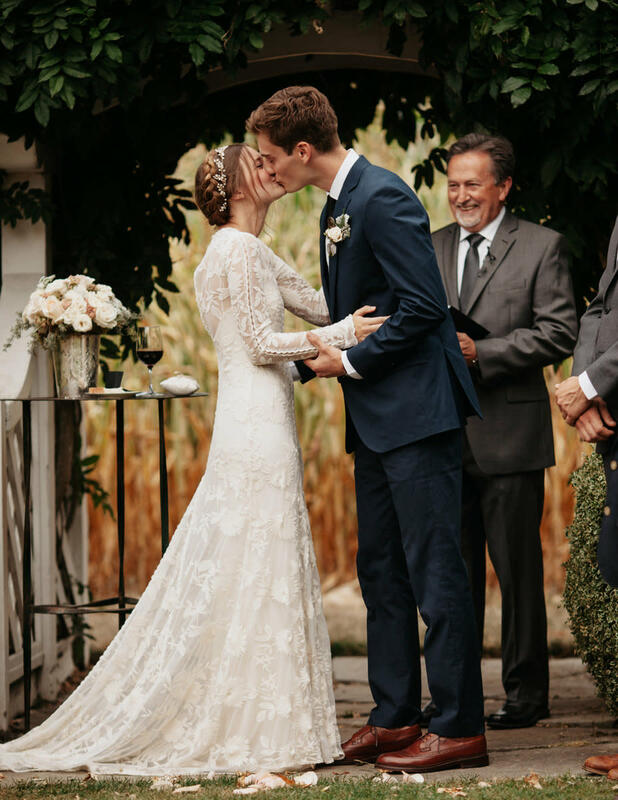 So whether you need inspiration for your own wedding or you just need to see brides who have come out on the other side, we’ve rounded up a few of our favorite swoon-worthy weddings from brides who brought their dream weddings to life. See? You can totally do this. 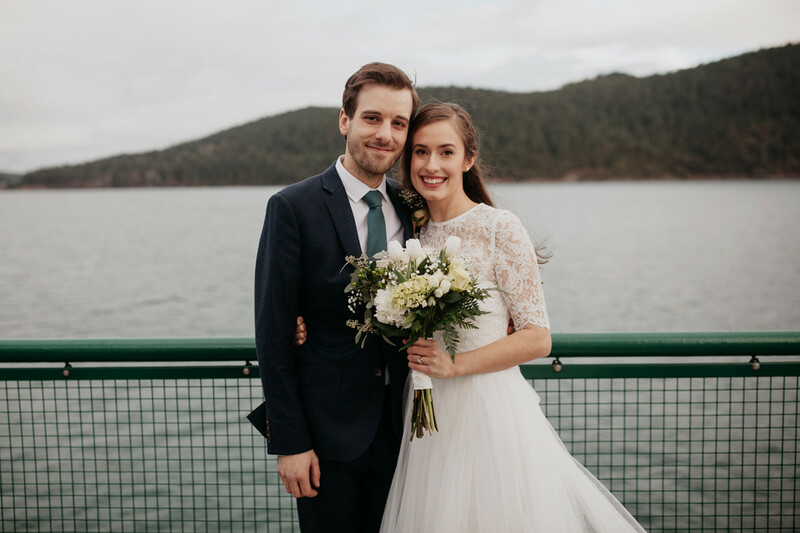 If you find yourself inspired by the fashions of yesteryear, you may want to incorporate some vintage elements like Lindsay did for her Seattle wedding. Her long-sleeved Spanish lace gown is enough to make any girl weak in the knees—plus, who knew head-to-toe lace could be so tasteful? Lindsay kept her Victorian-worthy ensemble fresh by mixing in a more bohemian vibe with her braided crown and and a few loose, wispy hairs framing her face. 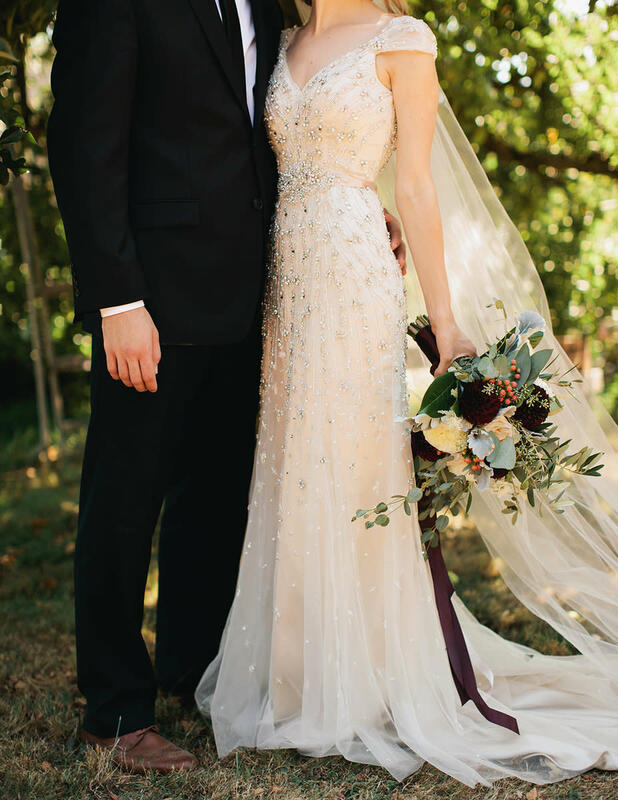 To snag Lindsay’s perfect blend of bohemian regality, choose a modified a-line silhouette or sheath dress, or try adding Victorian elements like long sleeves or button details to your wedding ensemble. To balance out the old-fashioned look, keep your hair casual and your bouquet experimental with lots of greens and mismatched flowers. For the classic bride who wants a little extra glamour added to her wedding look, take a cue from Karina, who got glitzy with extravagant beading on her simple, cap-sleeved dress silhouette. 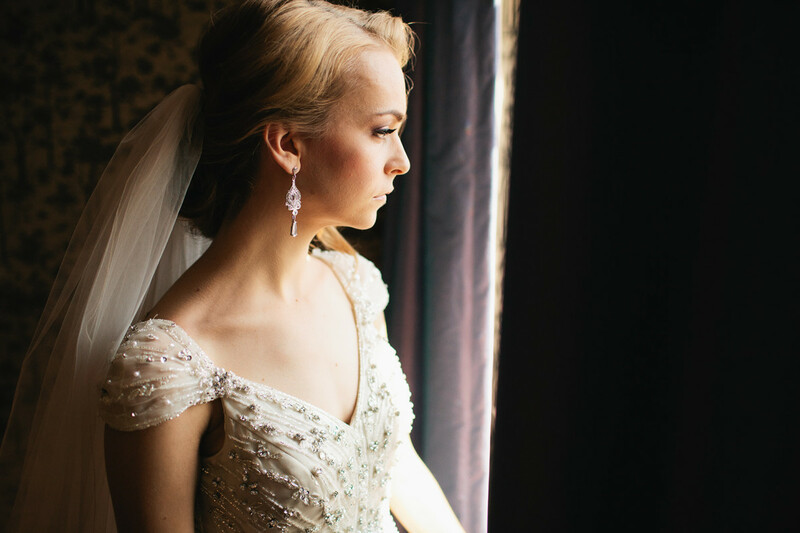 We love the Grace Kelly feel of Karina’s low bun and veil, paired with a dramatic eye and neutral lip color. This timeless look’s modern update is easy to recreate on your own. 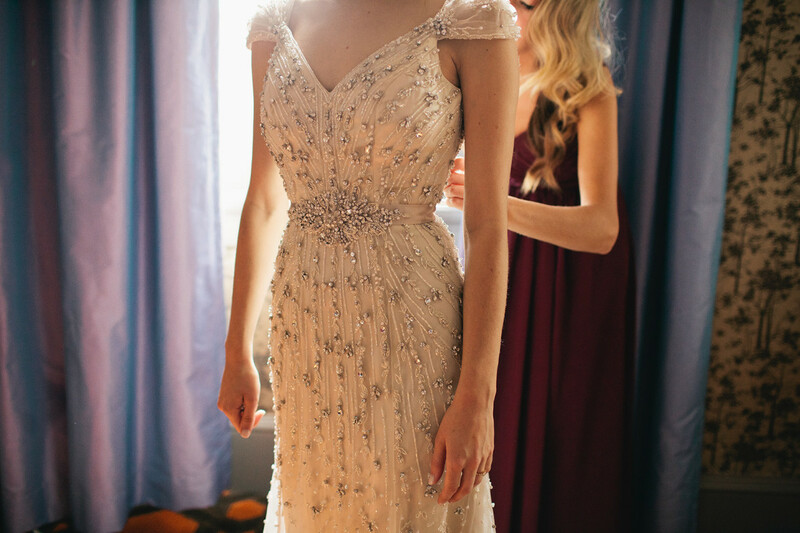 For a more extreme approach, try adding extra beading to your gown. If you don’t want to visit the seamstress, just add a bejeweled belt or choose extra sparkly dangle earrings and a bold statement necklace. This classic yet glamorous look is all about sophistication, so incorporate rich colors into your bouquet with deep burgundy flowers and accent the whole look with a matching ribbon. 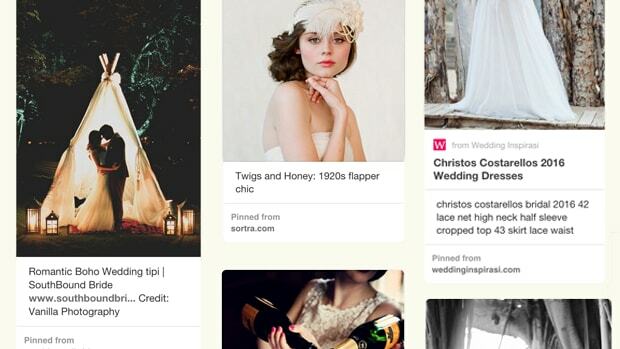 If your ideal wedding theme is more modern than classic, get creative with an alternative wedding look! Emmy has the right idea with this dreamy gray chiffon dress and darling lace topper. The moody-hued lightweight skirt is an innovative twist on the traditional white wedding ball gown that doesn’t stray too far from tradition. If you&apos;re looking to join the wedding dress revolution, try copying Emmy’s look by wearing separates. Choose a skirt that is either slightly off-white, pink, gray, or lavender—really any color still looks wedding-day appropriate in a pastel shade! The fun part is mixing and matching your topper. So get creative and try different silhouettes with short, long, or three-quarter sleeves. If you’re nervous this look won’t be recognizable as a wedding dress, add a bejeweled belt and make sure your hair is done up so you look bridal. If you’re young at heart and have a soft spot for 1950s style icons, consider going retro chic for your wedding. Who said all wedding dresses have to be floor length? Kathleen had the right idea with this bold yet youthful tea-length wedding dress. 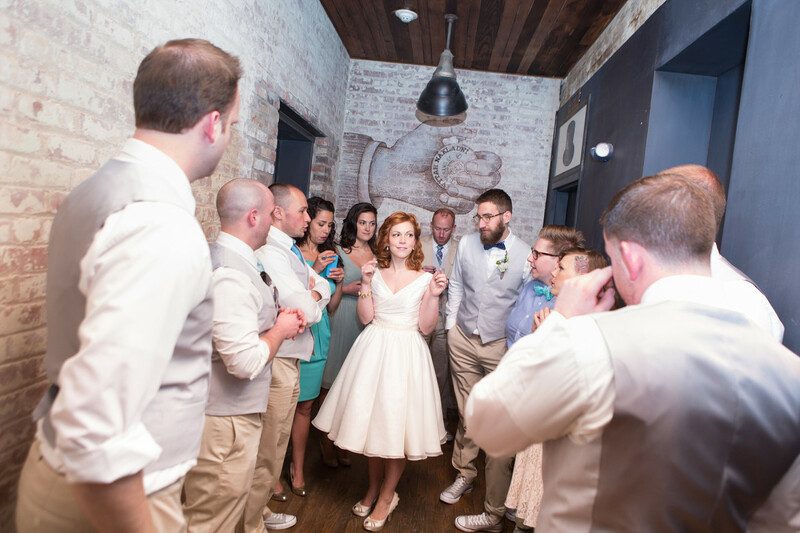 Our favorite part about this unique Hoboken, New Jersey, wedding? The creative styling. 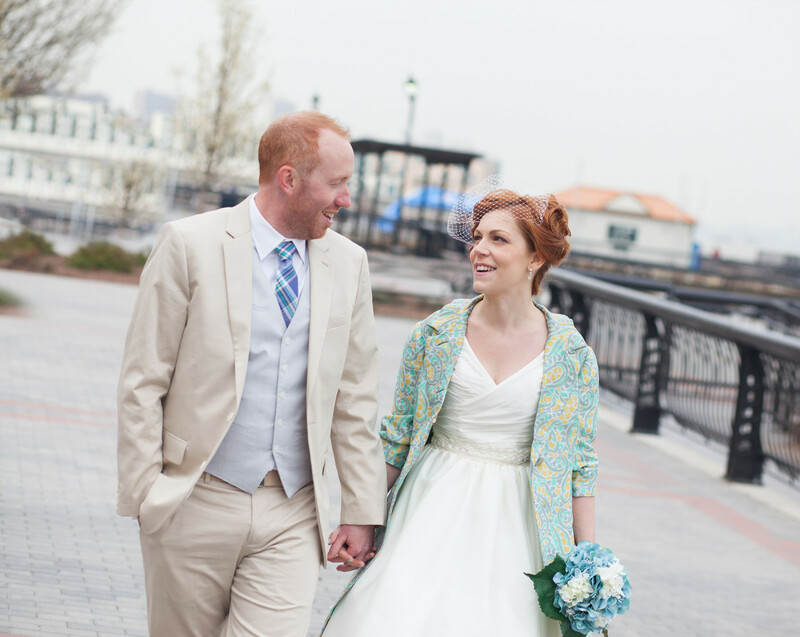 Kathleen’s paisley jacket, birdcage veil, and lace parasol prove that you can make your wedding day totally your own with a few unconventional details. If Kathleen’s inventive wedding ensemble has your creative juices flowing, consider adding quirky vintage details to your own wedding look. Take a trip to your local vintage shop to scout out a 50s or 60s inspired coat in a fun floral print or bright color. Bonus points for matching shoes! 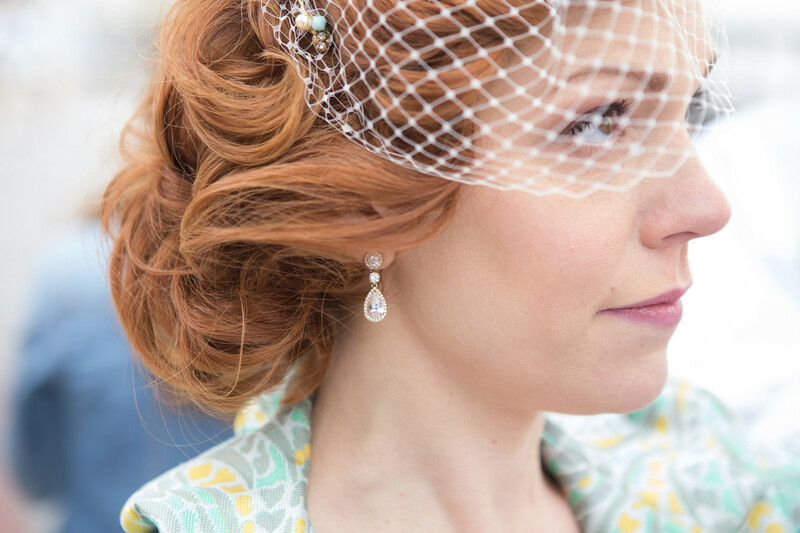 You can also find a fascinator or birdcage veil on Etsy for an affordable price. Keep your makeup retro glam with a fierce cat eye and barrel curls—now that’s retro chic. We&apos;re having a serious Jim and Pam swoon moment right now. 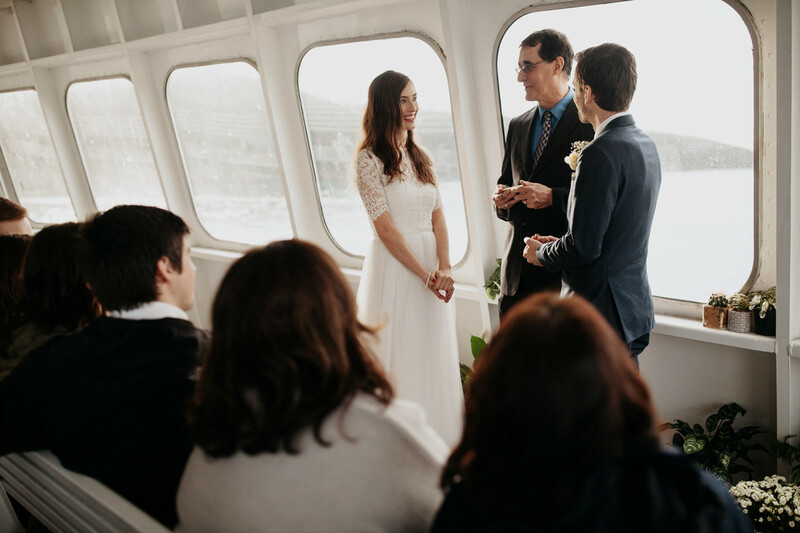 But we think Kim and Eric definitely made this romantic boat wedding their own. We’ve never seen a lace quarter-sleeve dress we didn&apos;t like. Kim’s stunning a-line dress and lace topper is no exception. A little bit of lace goes a long way, creating a look of sophistication and royalty without looking tacky. 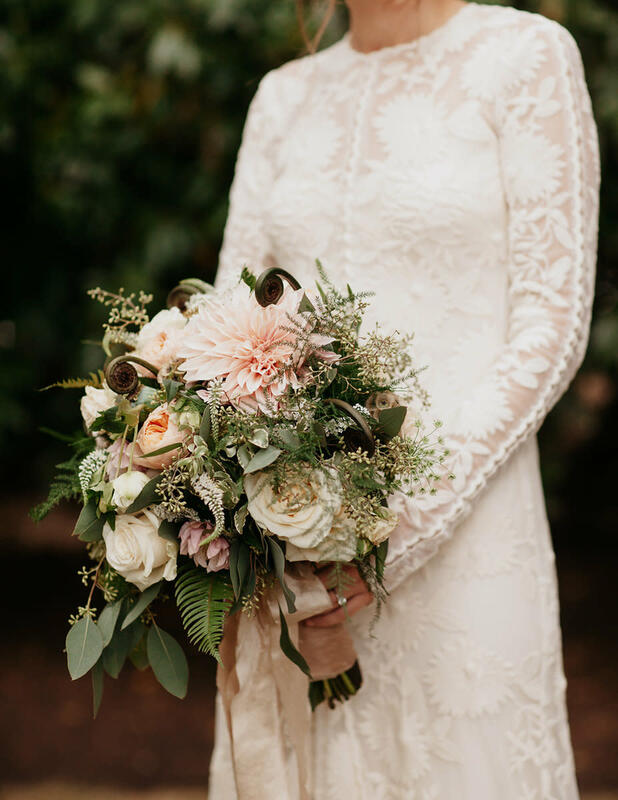 Adding a lace topper is as easy as 1,2,3 (but makes a world of difference), so if you want to snag Kim’s topper look for yourself, rest assured that no major dress adjustments are needed. Keep your overall look simple and effortless by styling your hair down in loose curls and not overdoing your makeup. 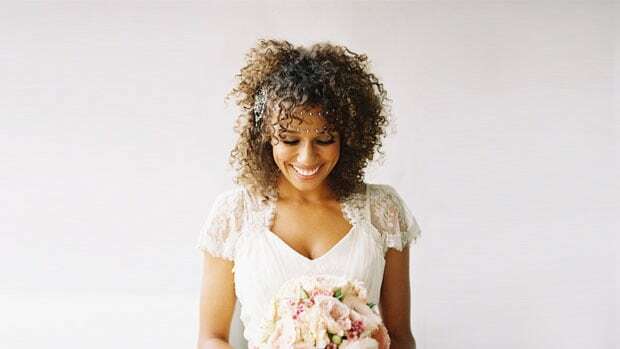 There’s nothing like a natural bride! 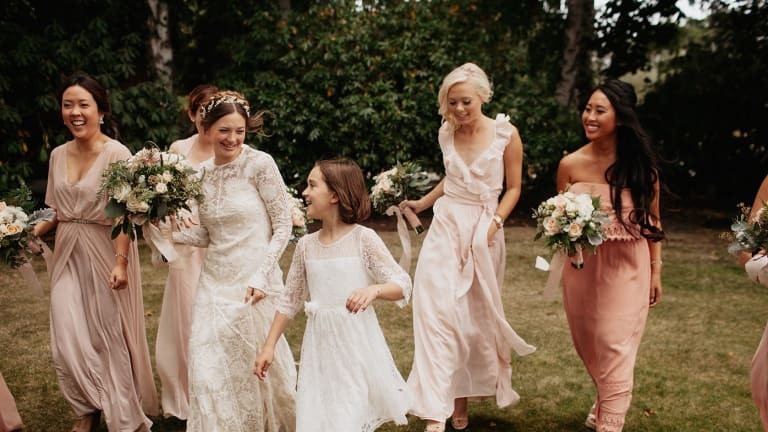 While the woman in white is the primary focus of every wedding, every bride knows that her bridesmaids play a vital role in creating a cohesive overall look. 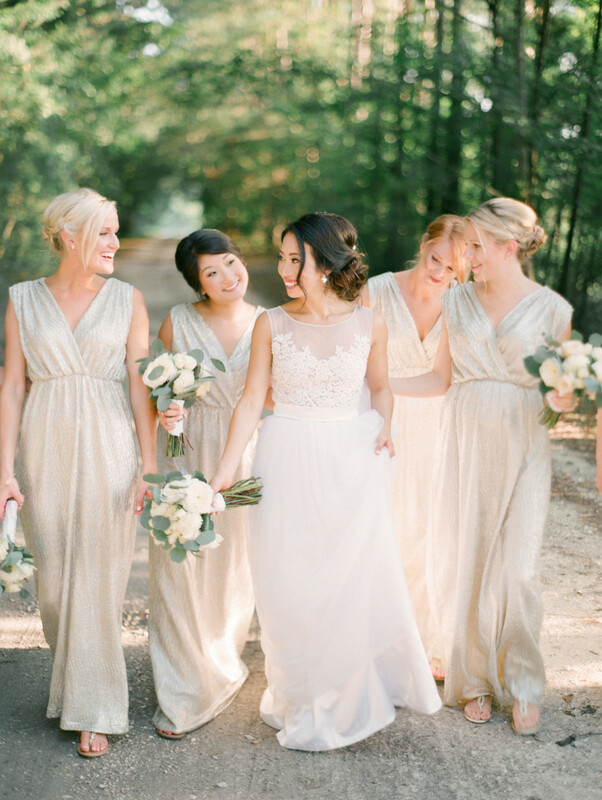 Christine certainly took her wedding theme seriously with this magazine-ready bridal party. 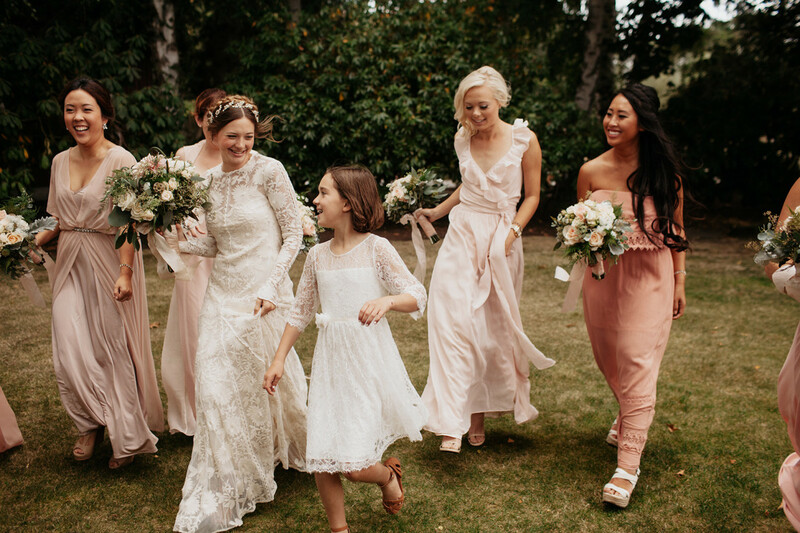 She kept her own look simple with a subtle chiffon a-line silhouette dress, similar to her bridesmaids’. 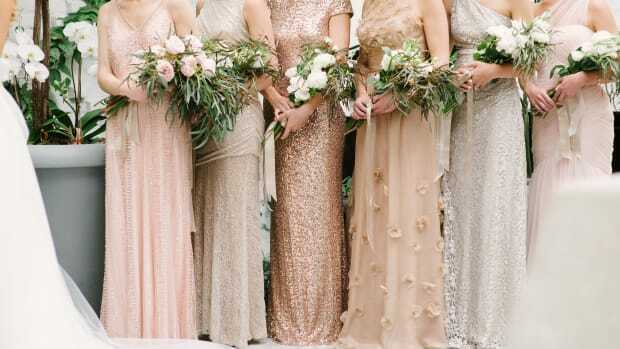 The subtle gold of the bridesmaids’ gowns is picked up in both the bridesmaids’ and the bride’s bouquets. Christine’s elegant, curled low bun is also matched in her bridesmaids, creating a uniform look. 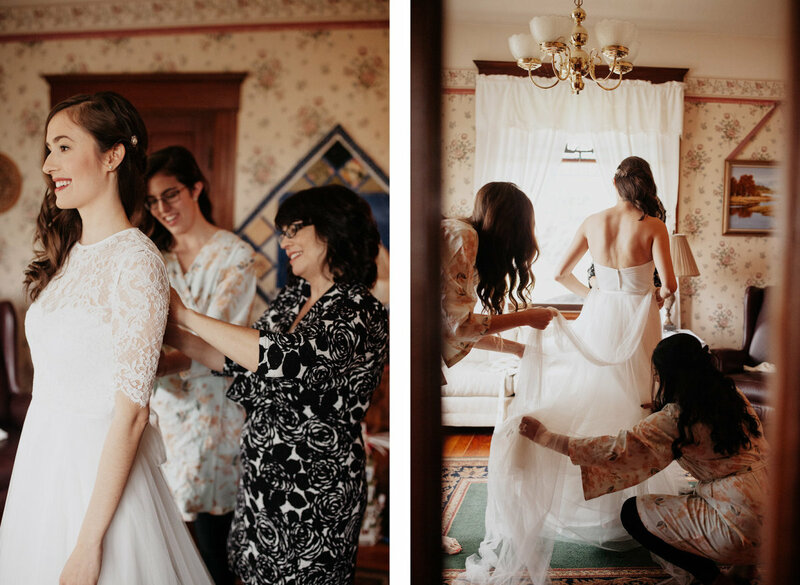 If you want your entire bridal party to look cohesive like Christine’s, pay close attention to matching little details. Simple choices like similar hair styles and dress silhouettes; the same makeup and jewelry; and especially matching florals are all elements that work together to create a unified theme. Which style of bride are you? 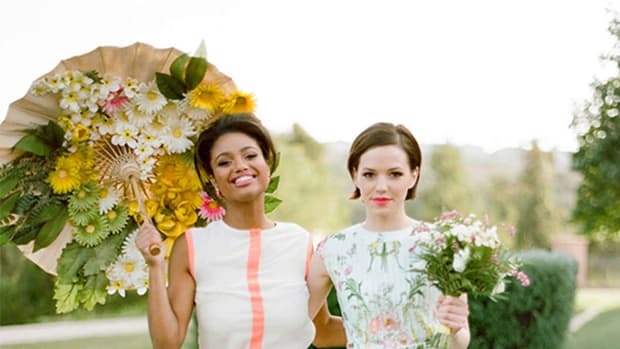 We <3 this blossoming bridal trend!